The Ostrich Fern is more than just an ornamental. 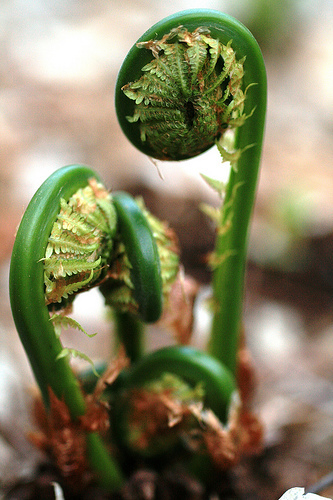 The edible shoots of the Ostrich Fern are named Fiddleheads. Ostrich Ferns are fairly well known ornamental plants throughout much of the U.S.; however, the small tightly wound shoots, known as fiddleheads, that pop up for a very short time each Spring are regional delicacies. 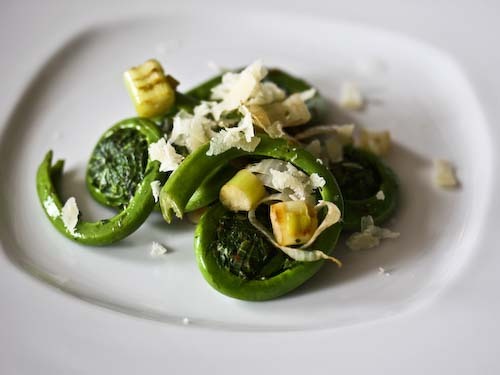 These fiddleheads have a taste somewhere between a nutty asparagus and brocolli. They thrive in shade and moist soils where many other plants fail to grow at all, or if they do they fail to produce an edible crop. Its ability to act as a groundcover in the dark, wet corners of a property make it an excellent addition to Forest Garden. Appears to be native to northern temperate climates in North America, Europe, and Asia. While there are a few small commercial producers of Ostrich Ferns, they are almost all for the production of ornamental plants… not food. Sauteed fiddleheads ready to eat! The scientific name Struthiopteris comes from the Latin (struthio = ostrich) and the Greek (pteris = wing). 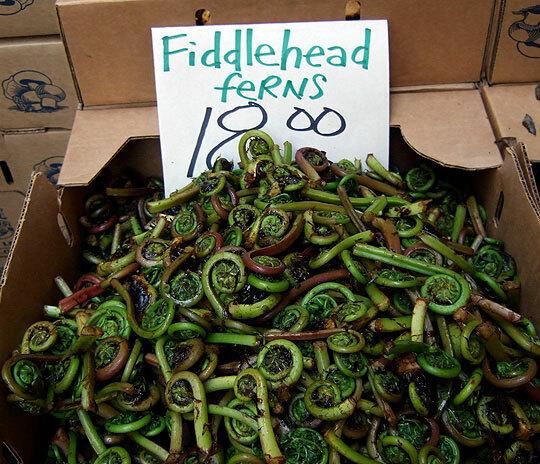 Shoots of the Ostrich Fern resemble the head of a fiddle… hence the name Fiddlehead Fern. This is a very popular seasonal delicacy in rural New England. 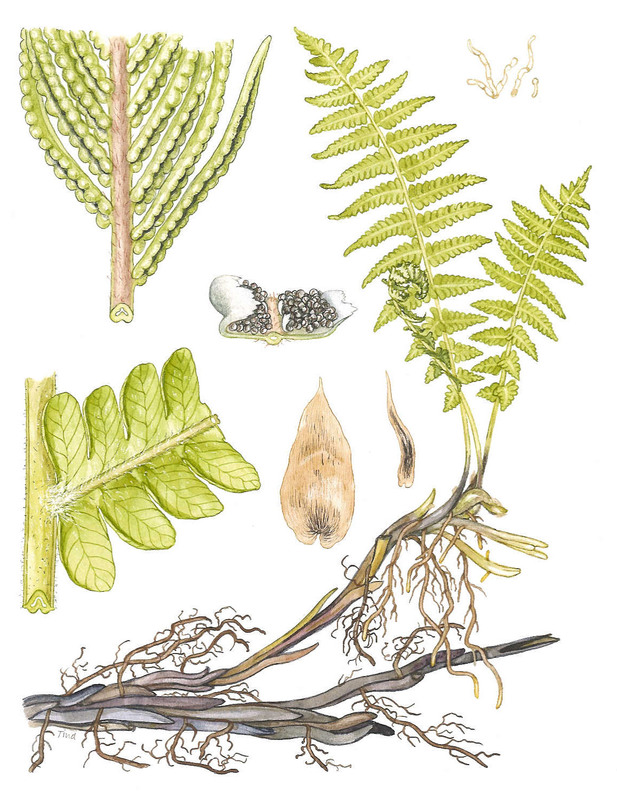 Many other fern shoots are eaten, but they have varying levels of safety. Dipped in beer batter and fried! Harvesting: Early Spring (it is a short harvest season). Pick when the fiddleheads are tight. They are still edible when taller than a few inches, but they quickly become more tough. 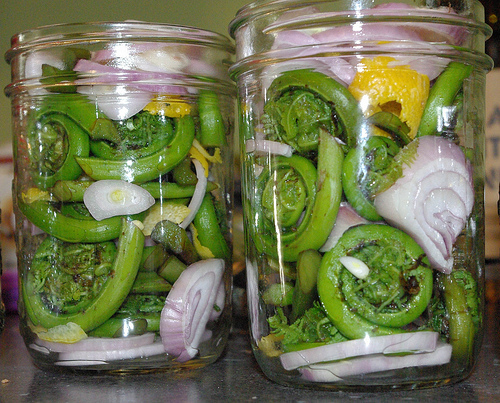 Fiddleheads about to be pickled. 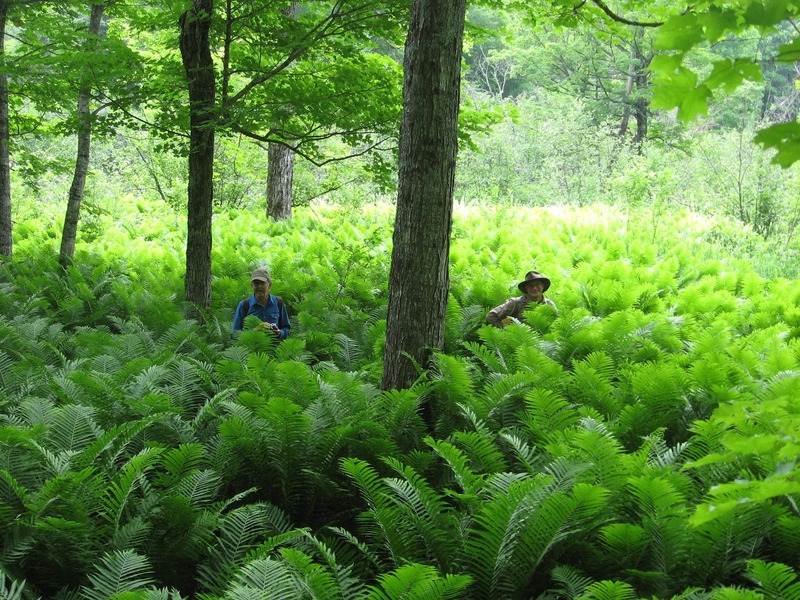 Ostrich Ferns make an amazing, tall groundcover for shaded areas. 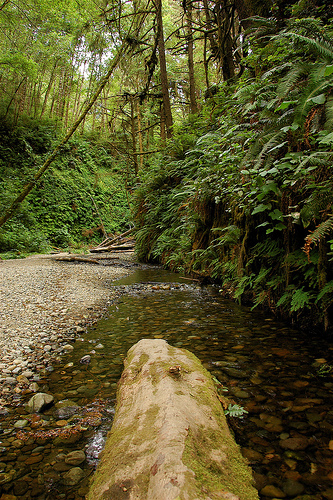 Ostrich Ferns can grow at the edges of ponds and streams. 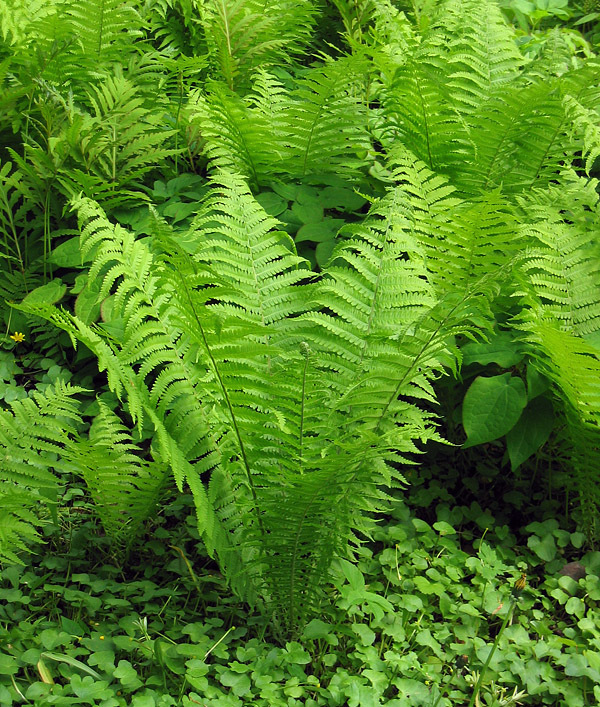 Ostrich Ferns can tolerate wet feet and so they can be planted at the edge of ponds in full sun to full shade. If they do not have consistently wet soil, they will not tolerate full sun. Propagation: Division (easy). Spores (difficult). Here’s a recipe for fried fiddleheads. 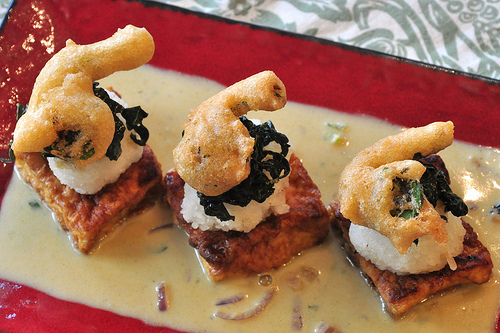 This is a vegan recipe… personally, I would replace the tofu with chicken or fish.